Hope is found on the back of a student who sits up nice and straight with her friends on the carpool bench at the end of the day. Less than a year prior, her auntie was told that she could never make it in “regular school” because she is living with severe autism and daily would lie on her back on the hallway floor, moaning until she would be sent home early. Hope is in the strong arms of a father, embracing his daughter’s teacher with a hug at eighth-grade graduation after the announcement that her hard work had earned her a full ride to the best Catholic high school in town. Earlier that year, those arms were tossed in the air with uncertainty, not knowing how he’d navigate his unemployment and his daughter’s desire for the school of her dreams. Hope is on the lips of a middle schooler who is smiling for the first time in what feels like weeks as he walks toward a living arrangement in which he feels safe and cared for. Earlier that day, those lips shared with a trusted staff member that his recent home situation had been abusive. Truly, the list goes on and on. However, the stories of those members of the Body of Christ don’t stop there. Whether it’s the challenges of growing up, moving to a new school, the bad luck of a lay-off, or all-too-prevalent racism and marginalization, we know that the folks I just mentioned are likely to come across struggle again and again. In fact, we all are likely to incur an ebb and flow of struggle to some degree throughout our lives. Jesus doesn’t promise that we’ll be free from struggle - in fact, His death on a cross should probably be a reminder to us that struggle is in many ways woven into the fabric of our humanity. I am not optimistic that tomorrow we will wake up and avoid struggle, but I am HOPEFUL that this struggle and our fighting for those who struggle will bring about some step of progress. 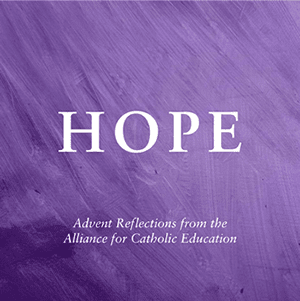 May we all use this Advent season as a time to reflect on those who carry crosses we could not imagine, and may that reflection animate us to fight and stride on with a hope that reminds us that The Best Is Yet To Come.